The wait for PS Vita themes is now over! 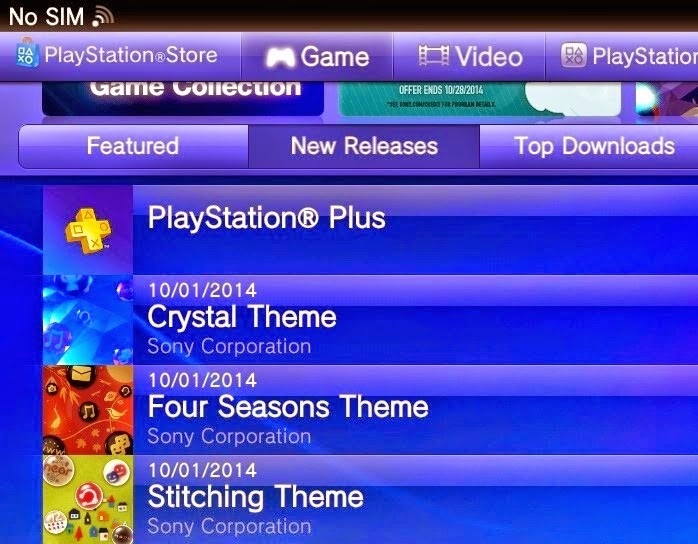 The PS Store now has three themes that are available for download. Crystal Theme, Four Seasons Theme and Stitching Theme are all free to download. 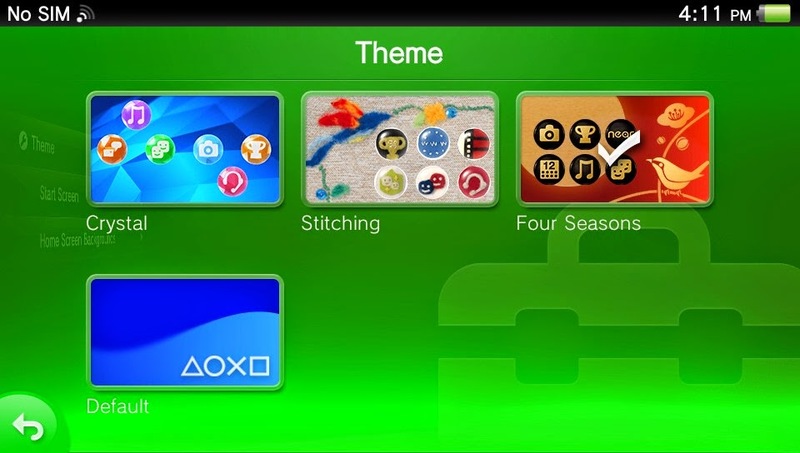 Once downloaded themes can be changed from the settings application on the vita.Sony has made the process of switching between themes very easy. Personally I like the Four Seasons theme the best for its dark black icons and wallpaper. What theme do you like the most? Let us know below!